Mophie has created the most convenient iPhone charging experience possible, built to comply with Qi wireless charging standards. Working together, mophie and Apple created the most convenient charging experience possible, built to comply with Qi wireless charging standards. Executive standard: Qi wireless-charging standard. Note: Built-in wireless receiving coil, it should be use with wireless charging transmitter, it cannot be used alone. Wireless distance: 5mm. Suitable for phone of MICRO 5pin. You can put your phone in your car when you are driving. Infrared Auto-sensing & Single-handed Operation：When put the phone near 3 cm to the infrared auto-sensing area of car phone holder,the width of holder can be flexibly adjusted to hold phones of size from 4.0"-6.5" automatically. 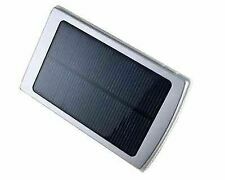 It is highly suggested to remove the protective case in charging since it will affect charging process and may lead to overheating. 1 x Charging Cable. Material: Leather PC. Apple iPhone 8 / 8 Plus / X. List of phones compatible We make buying online as simple as it can be. Colour: Black. Samsung S9 / S9 Plus. LG V30 / LG V30S ThinQ / LG G7. 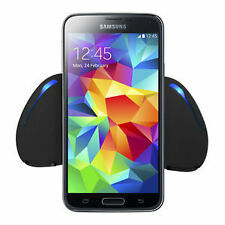 This product is compatible with the Qi wireless charging protocol V1.0 & V1.1 WPC. 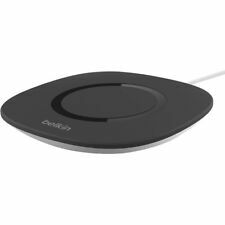 1 x Wireless Charging Pad Black. 1 x Micro USB Cable (charging capability only, no data capability). Charging efficiency: ≥75%. Execution standard: Qi Wireless charging standards. from 5 upto iPhone 7/ 7 Plus, to 6S/ 6 Plus SE 5S 5C 5 iOS and iPad & iPad Mini…. 1 x Wireless Charging Receiver. Charging Receiver Card. 1 x Wireless Charging Pad. 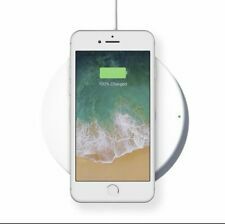 Execution standard: Qi Wireless charging standards. Charging Receiver Card. 1 x Wireless Charging Receiver. 1 x Wireless Charging Pad. Charging Distance : 2-5mm. COMPATIBILITY: FOR APPLE IPHONE 7/6S/6SE/5S/5C/5 iPAD/ iPAD Mini. 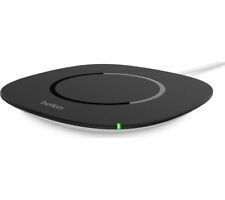 Qi certified by WPC (Wireless Power Consortium) to support wireless charging on all Qi-enabled devices. Smart Phone Wireless Charging Black Cup Holder For iPhone X/8, Samsung S8/S7/S6. Multi-layer protection, more safety. And with Samsung Fast Charging adapters – like the one included with your Galaxy S10, S9 or Note 9 -. Super slim design Seeing is believing. External Battery Charger LED Indicator for Samsung Smartphone S3 S4 S5 new. LED power indicator. Circuit protection. Output:DC 4.35V/450mA-1700mA. Input:DC 5V/500mA-2000mA. Power input from micro USB cable (NOT Included). 5 out of 5 stars - External Battery Charger LED Indicator for Samsung Smartphone S3 S4 S5 new. 1 product rating1 product ratings - External Battery Charger LED Indicator for Samsung Smartphone S3 S4 S5 new. Phone will automatically start charging without direct cable connectivity to the phone. Take it wherever you go and keep you phone secure with a silicone anti-skid underside that prevents sliding. A smart indicator alerts you of the current battery status. Executive standard: Qi wireless-charging standard. Note: Built-in wireless receiving coil, it should be use with wireless charging transmitter, it cannot be used alone. Phone or Pad not Included. Wireless distance: 5mm. This is a universal charging station for all "QI" devices. Energizer Qi-Enabled Inductive-Charging Platform. Eliminates clutter caused by cables and wires. and all other enabled wireless QI devices. - Inductive Technology Certified Qi low power standard by the. Between finding your charger , finding and outlet and plugging your phone in, charging a mobile or smartphone can be a fiddly affair. Thankfully, mobile phone charging mats have given us a simpler way to do so. Suitable for a range of different Qi enabled brands and models, these charging mats are available in a variety of sleek designs. Compact enough that they could be used just about anywhere, all you need to do is place your phone on top of these mats to charge it. Many charging mats include short circuit protection to avoid overcharging or overheating your phone. These mobile phone charging mats come with a USB cable, so you can connect to the mains with an adapter or connect directly to your computer. Cable sizes vary but some measure up to 1m. With a variety of shapes and sizes available, there are a host of styles to update your tech setup. Petite round designs are available in black, white and transparent designs. Bolder patterns include the Batman, Superman and Captain America logos. Some of the chargers are square and rectangular in shape and are designed to be the same size as your mobile phone to create an uncluttered finish. In addition to charging mats, there are also stands which allow you to prop up your phone and access the glass screen while it is charging. If you have two Qi enabled mobile phones that need charging, some of the mats have dual capability and can charge multiple handsets simultaneously. These designs also include a USB port so you can charge an additional device via the more conventional USB cable . For something even more stylish, there are some chargers which include a touch activated LED light. In a sleek white hue these designs are ideal for rooms with minimalist decor.